This week I decided to share my HumpDay Sales on a blog post so that it can be easily accessed at a later time should you choose too. Since we’re all always on the go, no fear of missing any of my HumpDay Sales if you cant get to my instagram story that day. HumpDay Sales are sale items or products that appeal to my style, Emma’s, my husbands, our household that we would/will or already have purchased. Every week I take time to research through thousands of sales items and pick what stands out to me while still highlighting the sale that is running and if you need any special codes. This week I featured sale items from francesca’s BOGO sale! Yes, they are having a buy one, get one free on their clearance items, so go check it out before items sell out. I have linked some that really stood out to me below. OshKosh is also have a great Presidents Day sale if your looking for some new spring clothes for the kiddos. The sale saves you an additional 25% on your purchase of $40+, code PRESDAY. I linked some of my favorites above. 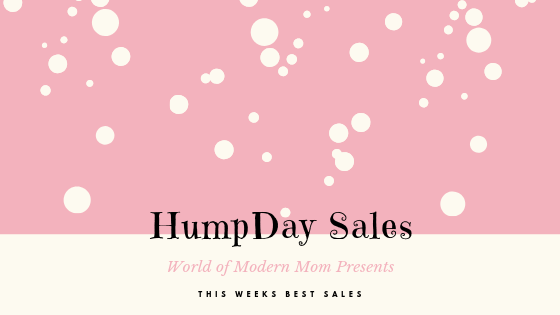 Since this is the first HumpDay sales blog post, I’m sharing some of the items from the previous weeks HumpDay Sales but I’m warning you, some of items might be sold out. As always you can use Ilda15 for an additional 15% off sales items or anything else you may like from Pink Lily.